What is the greatest IPL 2018 XI that could possibly beat 2016 T20 Champions West Indies? The 2018 edition of the Indian Premier League was a pulsating affair. From Kane Williamson's astute leadership to Chennai Super Kings returning to the fold after a hiatus of two years, it kept the fans as well as pundits on tenterhooks. In the end, the best two sides in Sunrisers Hyderabad and Chennai Super Kings qualified for the season finale with the Men in Yellow coming up trumps. 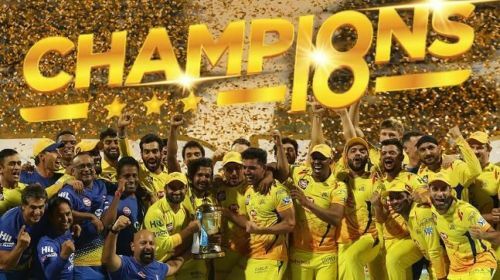 It was Chennai's third IPL title in nine years, making them the most successful franchise along with the Mumbai Indians (2013, 2015, 2017). That said, we witnessed a plethora of amazing performances from all the ten teams in the tournament with the likes of Prithvi Shaw, Rishabh Pant coming to the fore. Let us extend this concept a bit further and form the greatest IPL Playing XI of 2018 season, that could take on the defending champions Windies.